They want the government to call a climate state of emergency and they’re taking direct action. 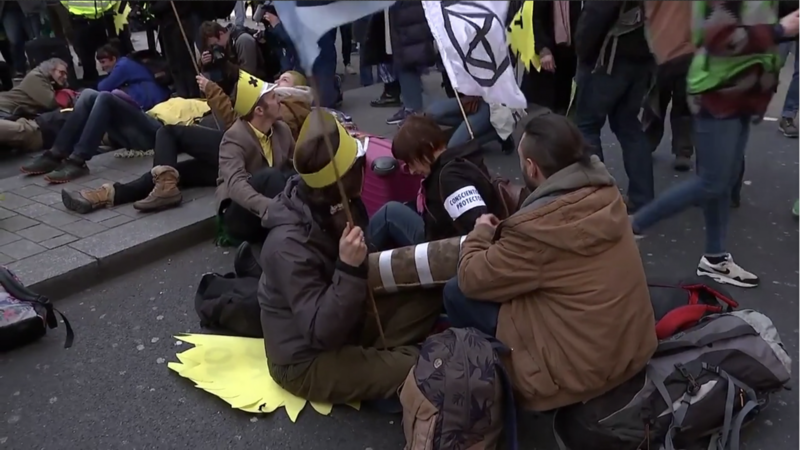 Today the Extinction Rebellion movement took their protests to London and across the world. They brought five of the capital’s landmark traffic junctions to a standstill for a festival of protest – not all of it entirely peaceful. So far the police appear to be tolerating it, but the organisers say this is far from a one-day event.